I’m putting “good” and “bad” in quotes here because, like I’ve said before, I don’t really think there are good and bad photos. I think it’s more of a personal choice about whether or not a photo triggers some feeling in you. So, in that sense, when I say “bad photo” here, what I really mean is a photo you took that you personally don’t like for some reason—it doesn’t say what you want it to say about your subject. One of my favorite ways to learn to see more creatively is to take a lot of photos as experiments: not really knowing if they’re going to be good or not (and also not caring!). Sometimes it’s hard to visualize how a scene will look in a frame, and although looking through the viewfinder helps a little, I feel like you don’t really “see” the photo until you get home and check it out on your computer. Taking lots of photos as experiments really helps you develop this sense of visualization. It also results in a lot of “bad photos” — but that’s a good thing. The way you learn from bad photos is by analyzing them. Instead of just quickly going through them, spend a few minutes on each one and ask yourself why you think it’s bad. What’s missing from the photograph? What could’ve made it better? Is there too much going on? Analyzing your photos and articulating what you like and don’t like will help build your creative intuition. It will help develop that sense of knowing when an image “feels right.” The more you develop that sense, the more natural photography will become for you. I really liked the shadows on the ground in the first image (although they’re not very strong or clear here), but I liked the more isolated feeling of the tree in the second image. So, putting those two things together, now I more clearly see the image I want to create. 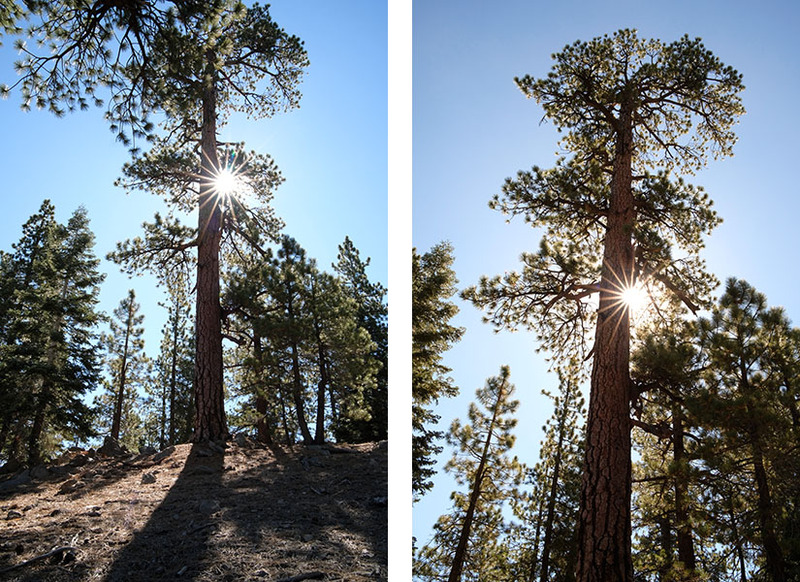 I want to find a tree that’s a little more isolated and perhaps a little shorter (to make most of its shadow visible in the frame), and use a wider angle lens (I shot both of these images at 35mm). This was something I clearly saw when analyzing the photos at home, but didn’t really see when I was out there photographing the tree. I like to think of bad photos as stepping stones towards the final image you’re striving to create. So, again, they’re not really “bad” — they’re just helping to lead the way. About the Author: Steve Berardi is a nature photographer, web developer, and founder of PhotoNaturalist. You can usually find him hiking in the beautiful mountains and deserts of southern California.